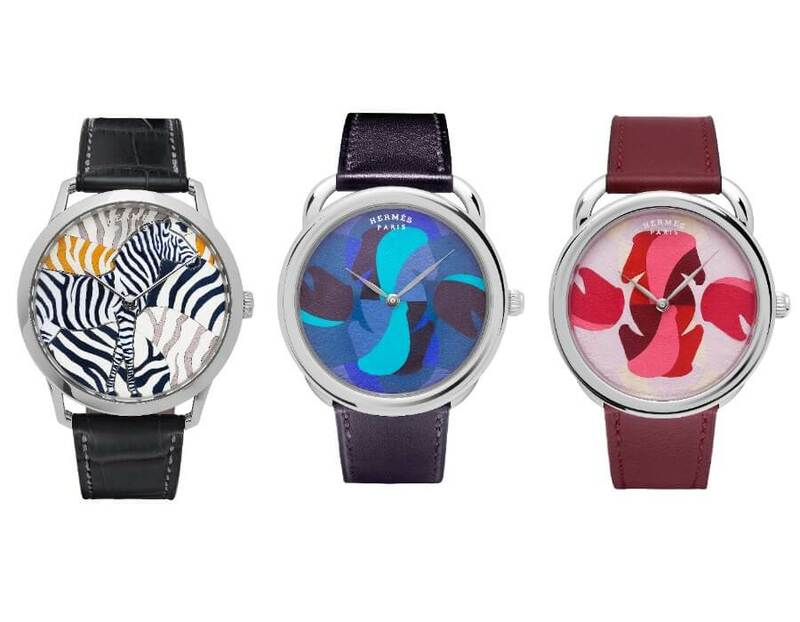 An equestrian pro le and zebra stripes form vivid leather patchwork patterns, meticulously assembled on the dial of the Hermes Arceau and Slim d’Hermès watches. Within the confines of this incredibly small space, the re ned composition of tiny calfskin tesserae is a true work of miniaturisation. Hermès Red, Malta Blue or Graphite: the chromatic signatures of the Maison suffuse this combination of leather craft and watchmaking skills. These inherently rare white gold models are issued in limited series. 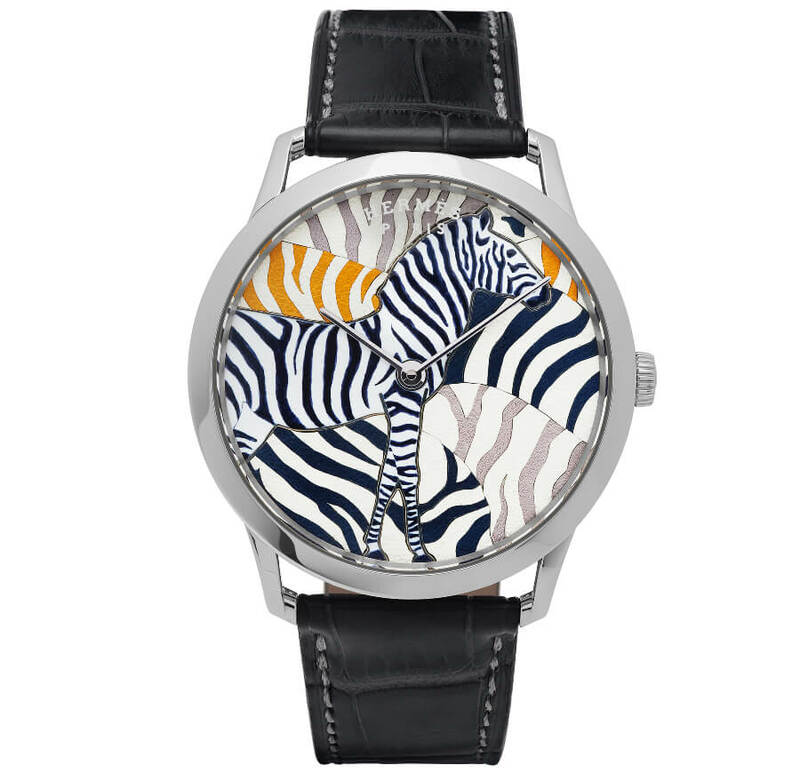 On an inch-perfect dial, the Hermès leather artisans compose a variegated work depicting a horse or zebra. Reduced to the format of a round case, these creations flaunt the radiant colours of slim leather fragments carefully selected, cut out and juxtaposed with all the skill and expertise of saddle-making and leather craftsmanship. 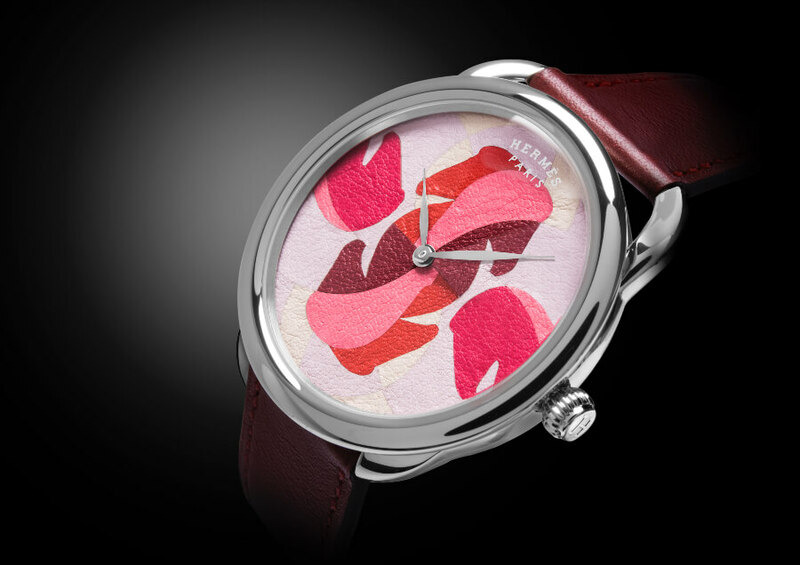 The leather marquetry technique calls for a meticulous approach extremely similar to that of assembling a watch movement. Made from full grain calfskin, the leather pieces are split to a thickness of around 0.5 mm, before each element composing the motif is accurate cut to its appointed size and shape. One by one, the artisan picks up these fragments and fits them on the dial to form the design. 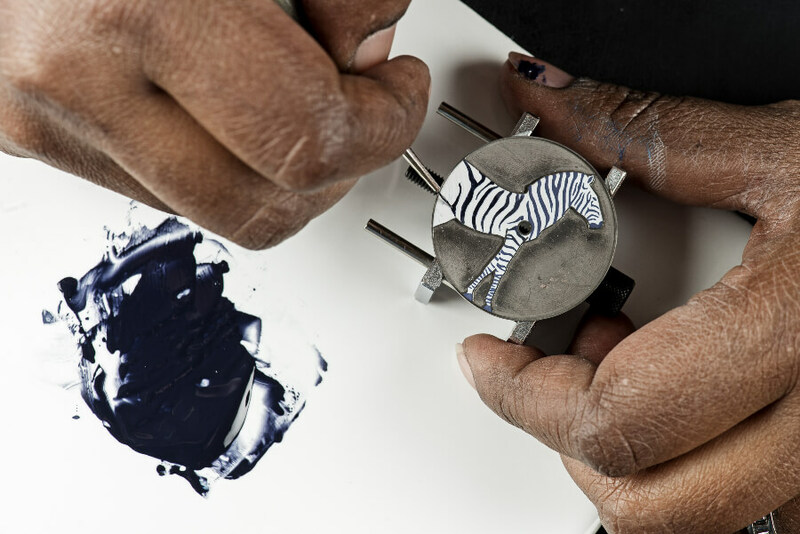 The Arceau and Slim d’Hermès watches set the stage for the art of leather miniature work. “Hermès Red” and “Indigo Blue” are two iconic colours of the Maison interpreted through subtly varied leathers lit up by Capucine or Agate Red touches. 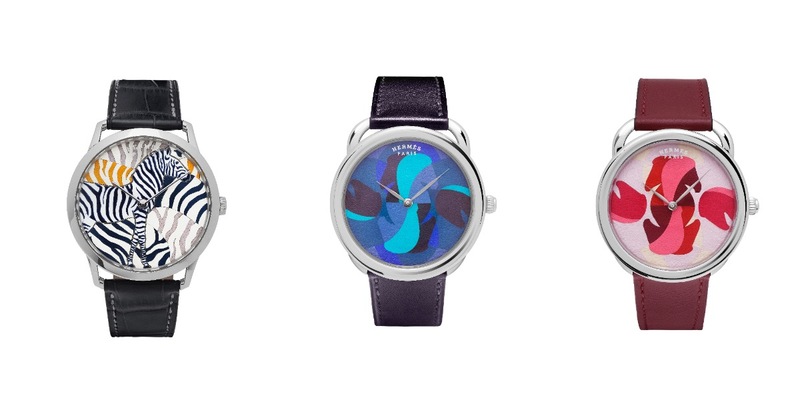 After six hours of patient assembly by the artisan, the many-hued pieces form a patchwork reminiscent of slim poppy petals for one model, and a stylised camouflage pattern for the other. 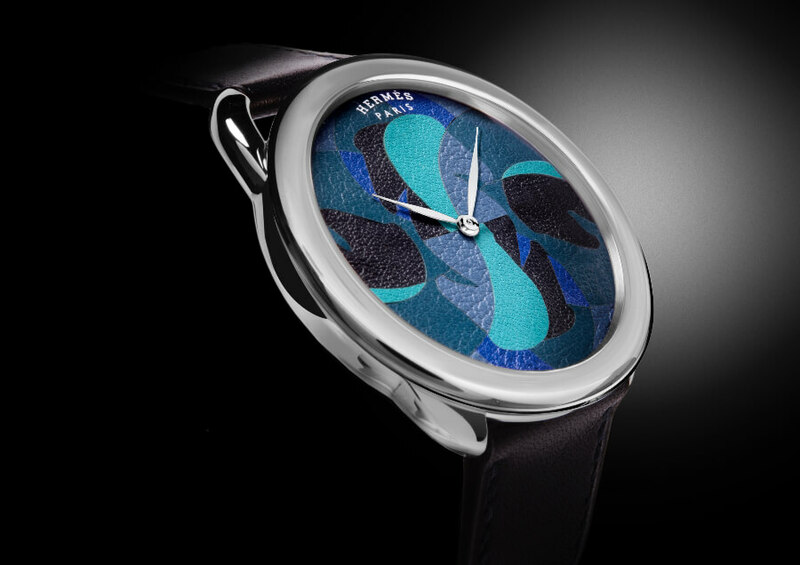 A closer look shows the “Cavales” motif symmetrically revealed in the dial centre. Swept over by slender leaf-type hands, this micro-leatherwork creation forming the watch face is framed by a 41 mm-diameter white gold Arceau case. 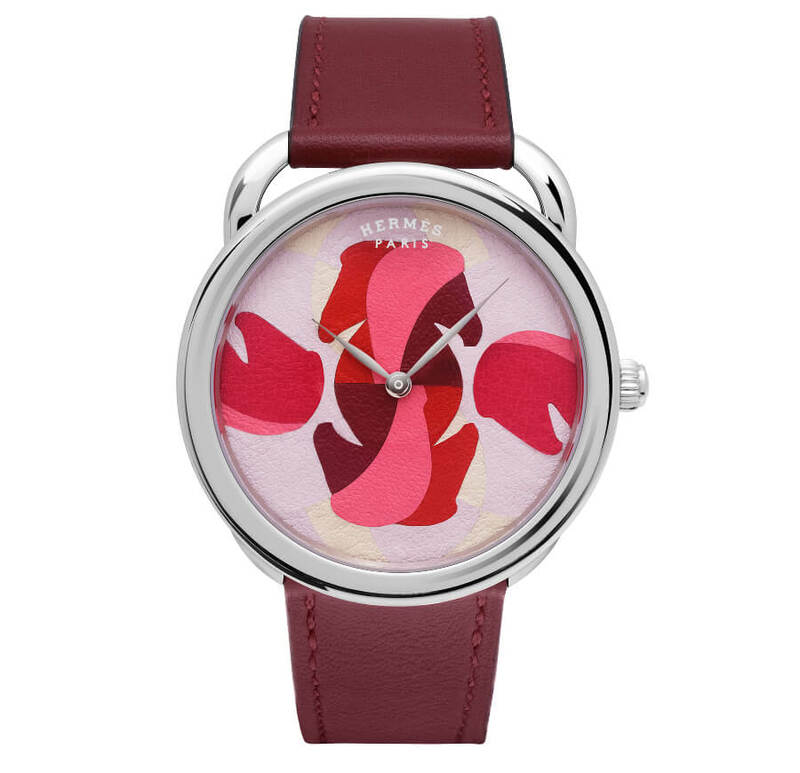 Its asymmetrical stirrup-shaped lugs secure a smooth calfskin strap matching the dial colour. These two six-piece limited series are powered by a mechanical self-winding Manufacture Hermès movement driving hours and minutes hands. 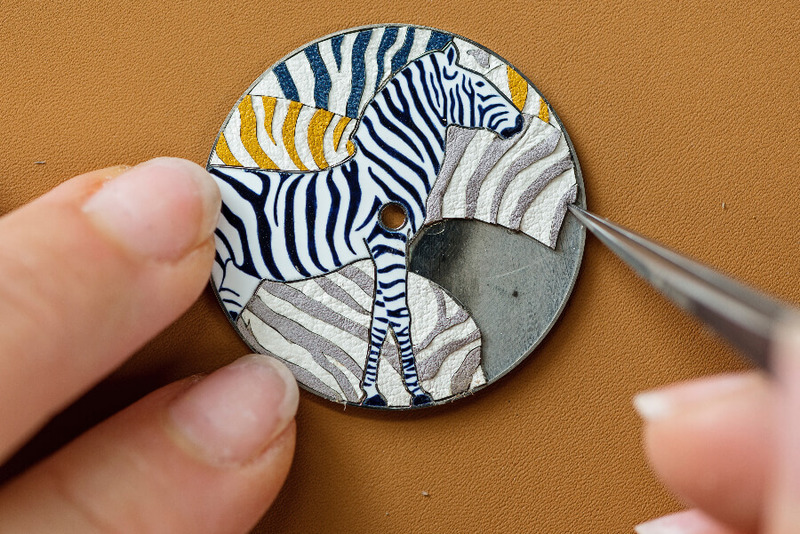 The aura of refined understatement that is the Slim d’Hermès signature magnifies the striped coat of the zebra, in a creation adorned with leather marquetry as well as champlevé and miniature enamelling techniques. 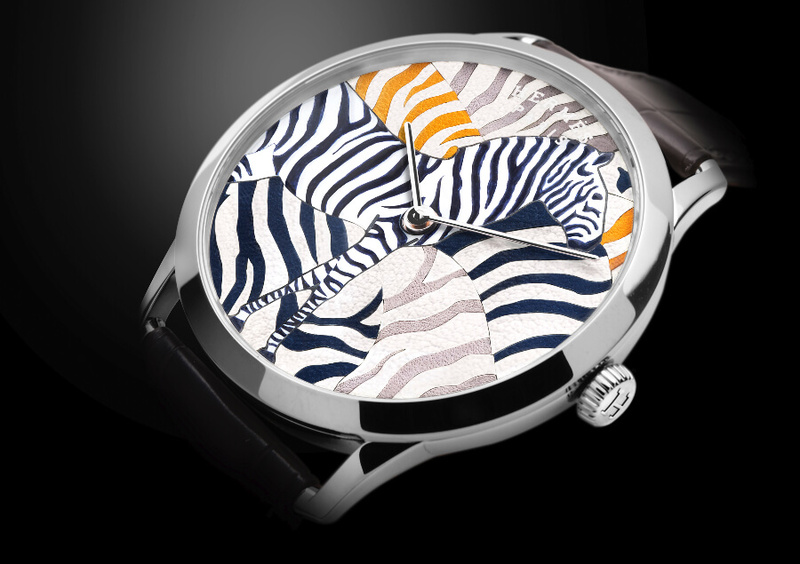 Framed by the ultra-thin case with its right- angled lugs and beautifully open dial, “Les Zèbres de Tanzanie” motif designed by animal artist Yves-Marie de Malleray in 2010 takes on a whole new dimension. Colourful stripes, composed of hand-fitted leather inlays, enhance the pro le of the miniature-painted creature. The previously hollowed dial is filled with several layers of white enamel, interspersed with drying periods and firings in the oven. It is then hand-polished before the stripes are applied using an extremely fine brush and enamel powders mixed with natural essences. After 26 hours of enamelling and leather marquetry, the motif with its “Étoupe” and “Graphite” tones takes shape in contrasting matt and shiny surfaces. Slender baton-type hands sweep across this work of art, in step with the cadence set by the Manufacture Hermès H1950 ultra-thin movement with its micro-rotor. A matt alligator leather strap matches each of these three white gold variations, issued in 12-piece limited series.